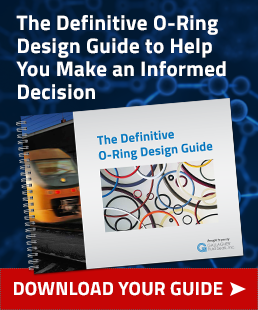 A Guide to Elastomer Technology in Mechanical Seals - Gallagher Fluid Seals, Inc. Evaluate properties of rubber during installation and seal life. Elastomers (or rubbers) are a ubiquitous family of materials whose use stretches across nearly the entire range of mechanical seal designs. From plant-sourced natural rubber, so named by John Priestly in 1770 for its utility in rubbing away pencil graphite, to petroleum-sourced synthetic rubber first developed around the turn of the 20th century, the “elastomer” and their properties are familiar but should not be overlooked—especially when dealing with mechanical seals. against surfaces to eliminate or control the leakage of liquids and/or gases while preventing the entrance of external contaminants such as dust and dirt. 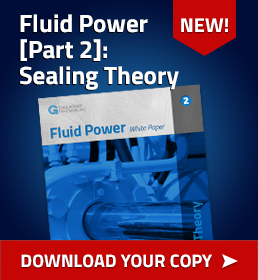 Static sealing occurs between adjacent surfaces with no relative motion, such as between the pump casing and cover. Due to frictional wear and heat generation, dynamic sealing is less straightforward, occurring between adjacent surfaces that are continuously or intermittently moving relative to another, such as between the pump casing and shaft. In mechanical face seals, elastomers tend to take second chair because the primary seal—the dynamic seal between the housing and rotating shaft—is achieved by sliding contact between the pair of stiffer, lapped-flat sealing faces, one stationary in the housing and one rotating with the shaft. In many designs, rubber provides the secondary seal between each seal face and adjacent surface. One seal face is fixed and sealed statically using an O-ring or cup gasket. The other is spring-loaded and requires a semi-dynamic seal to accommodate some axial play, such as a dynamic O-ring in pusher-type mechanical face seals or elastomeric bellows in nonpusher ones. These semi-dynamic applications (involving flexing and sliding of the elastomer) can be critical for maintaining proper contact between the faces through face wear, shaft movement, etc. Although the seal face pair tends to be the most critical design feature, mechanical face seals are often used in the most demanding applications. Rubber technology features prominently in radial lip seals, where typical applications have lower pressurevelocity (PV) values relative to those involving mechanical face seals. Still, the flexible elastomer lip must handle considerable relative motion in the form of shaft/bore rotation, reciprocation or a combination of both. In addition to standard designs and sizes, numerous customizations and proprietary approaches exist. The simplest designs rely on a single rubber lip’s inherent resiliency, although common enhancements include multiple sealing lips, a circumferential garter spring installed in a groove over the sealing lip to maintain contact with the shaft, and an auxiliary wiper lip or “excluder” to prevent abrasive dust or debris from compromising the primary sealing surface. For improving service life and performance in rotary applications, unidirectional or bidirectional hydrodynamic pumping aids can be added in the form of custom-shaped extrusions on the backside of the sealing lip to return leaked fluid to the sealing interface, increase lip lubrication and lower operating temperatures. most notable exception being silicone elastomers, which are linked by silicon-oxygen bonds). Soft and hard plastics are also composed of polymers. However, the regularity of the monomers in their polymer chains allows neighboring segments to align and form crystals, making the macromolecular plastic material rigid and inelastic. One can prevent this crystallization by breaking up the regularity of the polymer chain, resulting usually in a viscous “gum” that is readily shaped into molds. At the molecular level, the polymer chains are similar to spaghetti-like strands flowing past each other. During the process of vulcanization, or curing, the viscous liquid is heated with sulfur or peroxides and other vulcanizing agents, and crosslinks form between polymer chains, tying them together with chemical bonds, converting the gum into an elastic, thermoset solid rubber that retains its shape after moderate deformation. In addition to the selection and preparation of base polymer(s) and cure system ingredients, formulating the final rubber product, also known as compounding, involves five other broad categories of ingredients, which have percentage compositions expressed in parts per hundred rubber (phr). Fillers include various powders that thicken the polymer mixture, improve strength and resistance to abrasives, and reduce final cost. Plasticizers are oils and other liquid hydrocarbons that lower viscosity to ease processing, soften the final compound and in some cases improve low temperature performance. Process aids are specialized chemicals added in low concentrations to improve mixing, flow properties and final appearance. retardants, abrasives, lubricants and electrically conductive particles. A simplified description of processing these ingredients includes mixing via tangential or intermeshing mixers, forming into desired shapes and vulcanizing into the final product. design constraints more specific to an application may not be insurmountable. 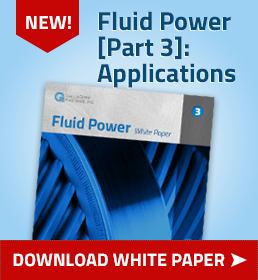 For example, if an unavoidable lack of lubrication for a lip seal results in premature failure due to frictional heat buildup, lubricity can be added to the rubber compounding via graphite, polytetrafluoroethylene (PTFE) or other dry lubricants. Further description of polymer structures informs rubber selection. One method for breaking up the regularity of polymer chains and hindering crystallization into rigid plastics is adding molecular branching segments or side groups to the main chain. When particular side groups induce partial electrostatic charges, or polarity, to the typical nonpolar hydrocarbon backbone, the elastomer becomes a more polar substance. Like dissolves like. Therefore, when a nonpolar elastomer like natural rubber (NR) or its synthetic version polyisoprene (IR) is immersed in nonpolar petroleum oils, they solubilize each other, resulting in swelling, softening and weakening of the elastomer. Polychloroprene rubber (CR, neoprene) is somewhat polar, affording it a degree of resistance to petroleum fluids, while acrylonitrile-butadiene rubber (NBR, nitrile rubber) is relatively high in polarity and has been used extensively for its oil resistance. Variations of NBR include hydrogenated nitrile rubber (HNBR), which features improved heat resistance and dynamic properties, and carboxylated nitrile rubber (XNBR), which is tougher than NBR but is more susceptible to compression set. Another method for preventing crystal formation helps to differentiate elastomers. Addition of double bonds, or unsaturation, to the polymer chain can similarly promote elasticity, which in this case also aids vulcanization by providing reactive sites for crosslinking to occur. However, unsaturation remaining after vulcanization often lowers resistance to heat and provides reactive sites for attack by oxygen, ozone and radiation. Ethylene-propylene diene monomer rubber (EPDM) lacks these double bonds, imparting better heat and ozone resistance than most general-purpose elastomers. This removal of unsaturation as well as addition of polarity from substitution of hydrogen with fluorine has created fluorocarbon elastomers, (FKM), with their extreme high temperature resistance and excellent oil and fuel resistance. 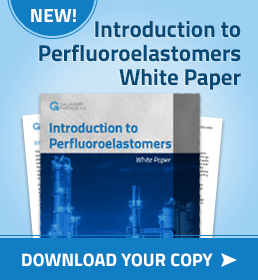 Other fluorocarbon variants include tetrafluoroethylene co-propylene (FEPM), with significantly improved resistance to high pressure steam, amines and sour crude and perfluoroelastomers (FFKM), which has a structure that lacks any hydrogen atoms at all and offers even greater heat and chemical resistance at correspondingly higher cost. run-out, seal chamber face run-out, seal chamber bore concentricity, and other equipment features may apply. To avoid extruding rubber in high pressure applications, clearances between surfaces sealed should be minimized and/ or a more rigid support member, such as a backup ring, can be installed on the low pressure side. Bore edge leads, shaft ends, splines and keyways should be checked. Rubber sealing elements should be protected from all sharp edges and tools. Especially for dynamic applications, surface finish of the appropriately corrosive-resistant shaft alloy, coating or sleeve material in the seal contact area should be free of machining imperfections and between 10 and 20 microinches (μin). Ra—rougher finishes accelerate wear and smoother finishes prevent development of a lubricating fluid film at the seal interface. When installing O-rings, lightly coat them with compatible lubricant, ensure any stretching is uniform and less than 50 percent of free diameter and avoid any twisting. 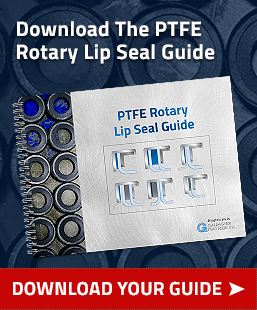 When installing a lip seal, prelubricate the seal lip, use the proper installation tool in a controlled manner, bottom out the tool or seal to avoid cocking and check for parts interference. Swelling is more associated with chemical incompatibility, and extrusion may also occur due to exposure to excessive pressures. 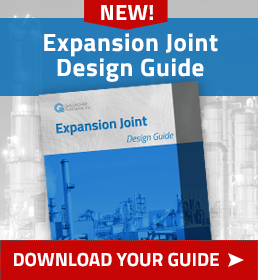 Extrusion, compression set, cuts or abrasions and mechanical damage or wear may also be signs of equipment issues, including excessively large extrusion gaps, excessive compression, sharp edges and improper surface finishes. Ruptured elastomers are typically due to explosive decompression, where rapid pressure reduction violently expands gas that has permeated the rubber. 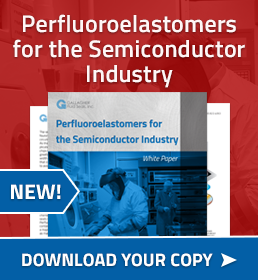 Reduced vacuum performance due to less violent outgassing of oil and other ingredients can hopefully be avoided by selecting modern fluorocarbon or perfluorocarbon grades. Potential failure modes also include damage to surrounding components by the elastomer itself, such as fretting, fracture due to groove overfill, etc., which is symptomatic of improper materials and/or dimensioning. 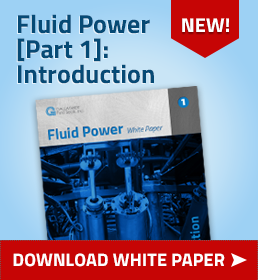 This article first appeared in the Pumps & Systems Magazine as well as the Fluid Sealing Association’s website in October 2018. For more information, visit www.ergoseal.com or call 630.462.9600.